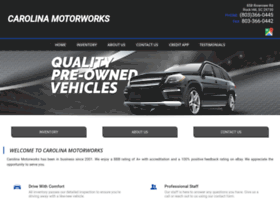 At Carolina Motorworks, our dedicated staff is here to help you get into the vehicle you deserve! Take a look through our website and let us work for you. Hosting company: Peak 10, Inc.